Our mission is to provide a dynamic training facility with state-of-the-art equipment, professional instructors, and high-level training. All our classes are taught by actual fighters who have an abundance of skills and knowledge. We provide mixed-martial arts, kickboxing, boxing, Brazilian Jiu-Jitsu, wrestling, and strength and conditioning classes. We also provide kids classes, womens classes, and coed classes that focus on these disciplines. Our classes are geared toward people looking to get in fantastic shape, learn a martial art, and lower body fat. We also train individuals looking to become professional or amateur fighters in MMA, kickboxing, and boxing. Our members regularly take part in tournaments, proudly representing our Finney’s MMA team. We offer training for people with skill levels from beginner to advanced, so you never have to worry about feeling out of place or intimidated. We encourage anyone to take a free class to see just how friendly and worthwhile the experience will be. We offer individuals interested in joining Finney’s MMA a 7 day absolutely free trial, no strings attached, and provide personalize attention during that trial. Start your trial now by calling us at 314-821-1144 or signing up on our Contact page. The Finney’s MMA staff is composed of knowledgeable trainers with expertise in a wide range of disciplines. Our personal trainers specialize in nutrition, cardio, and strength training so they can help our members sculpt the great physiques that they’ve always wanted. Some of our class instructors include professional MMA fighters, Brazilian Jiu-Jitsu experts, wrestling and grappling experts, and professional kickboxers and boxers. To learn more about our staff, visit our Instructors page. The expertise of our staff and our state-of-the-art-equipment help make Finney’s MMA the best school in the St. Louis area. Our Boxing, kickboxing, Brazilian Jiu-Jitsu, wrestling, and MMA schedule provides over 60 hrs of training classes a week. 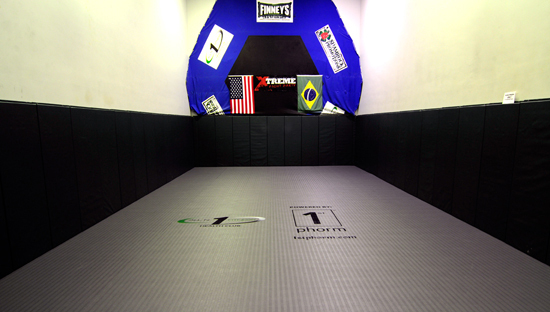 Along with over 3000 square foot of mat space, we also offer a 18 x 18 cage and a 16 x 16 kickboxing and boxing ring. We have an exceptional Brazilian Jiu-Jitsu program taught by world-class Lead Brazilian Jiu-Jitsu Instructor Ezra Lenon. We also offer a strength and conditioning program, said by many to be the best in the state. We have an 800 sq ft functional training room dedicated to developing strength and endurance. Our team is lead by Head Coach Jesse Finney, whose accomplishments include being a Strikeforce MMA Veteran, kickboxing and boxing specialist, and Head Coach for Chuck Norris’ World Combat League. We strongly believe that if you train great, you will feel great. Similarly, we believe that, “You fight how you train.” If you fight in a cage, you need to train in a cage. Our Functional Training program helps members build strength and conditioning. Along with the Finney’s MMA program, we have a sports rehab facility complete with sports massage, ultrasound, and electric stimulation to induce the healing process for our athletes. Chiropractor and Sports Medicine Doctor, Dr. Lask, heads this program. 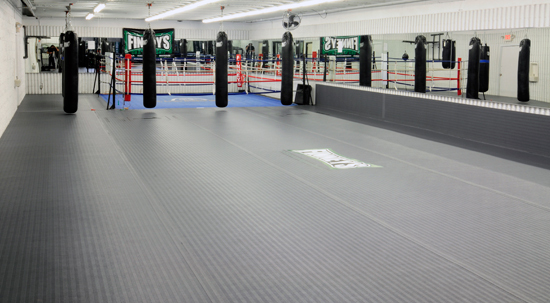 Finney’s MMA facility is over 20,000 square foot with the Boxing, Kickboxing, and MMA portion measuring at 6,000 square feet. We also offer over 11,000 sq. ft. of state-of-the-art cardiovascular conditioning center with a wireless entertainment system, individual televisions, and advanced free-weight training centers. Men and Womens’ locker rooms are complete with restrooms, showers, vanity and dry sauna. Other amenities include free day care to all members and personal training packages. We are pleased to announce a number of additions to our class schedule, which will give everyone the opportunity to participate in more classes. Please view our Class Schedule for more information. Along with Jesse Finney, our instructors Lucas Lopes, Pat Benson, Tom Aaron, and Booker DeRousse also fight for Strikeforce. Two other world famous fighters were in town to promote their fights: the man that defeated the great Fedor Emelianenko, Fabricio Werdum and his training partner Babalu Sobral.